Rent Grand Tradition Estate | Corporate Events | Wedding Locations, Event Spaces and Party Venues. For the last 25 years the Grand Tradition Estate has set the industry standard for incomparable style and impeccable service; for us making your wedding day perfect just comes naturally! 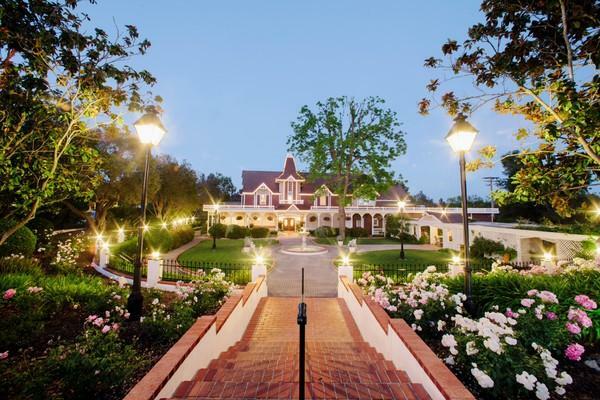 Grand Tradition Estate is truly an enchanting venue. Grand Tradition Estate offers a downloadable brochure to inform venue users of their all inclusive amenities including ceremony, reception, tables, linens, and Chivari chairs. Grand Tradition Estate can schedule your event to coordinate with the sunset for that specific day.